When life gets tough, getting help doesn’t need to be. 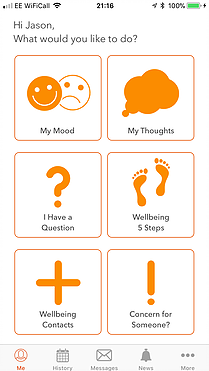 Access self-tests and treatment programs 24/7 on your mobile, tablet or desktop computer to better understand the challenges you face and help you look after your health and wellbeing. Everyone has worries pop into their head from time to time, but sometimes they won’t go away and start to impact your everyday life. 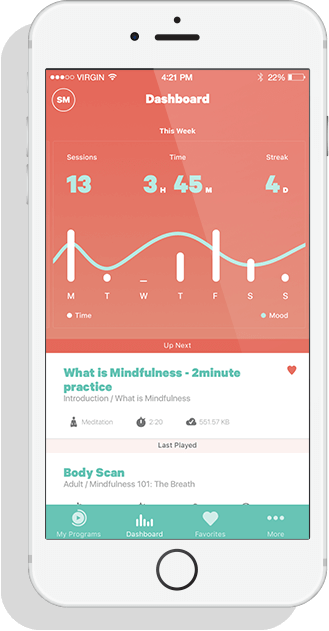 A mobile-based app designed for Australian adults to help monitor and manage their depression or anxiety discreetly. 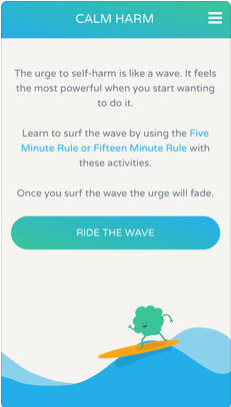 Smiling Mind offers a unique web and app-based tool developed by psychologists and educators to help bring balance to people’s lives. 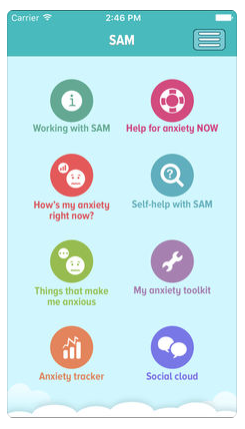 Struggling with anxiety? 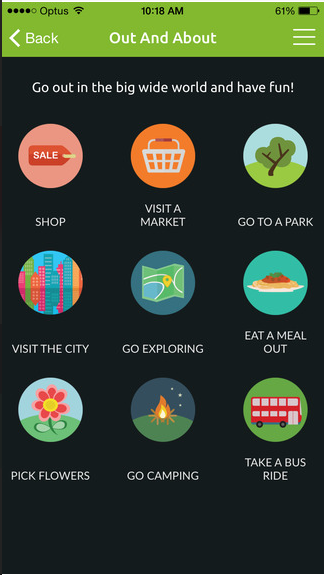 Tired of missing out? There are things you can do to stop anxiety and fear from controlling your life. 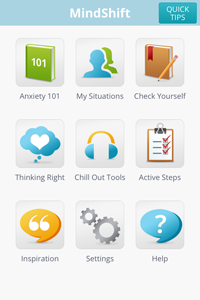 MindShift™ is an app designed to help teens and young adults cope with anxiety. 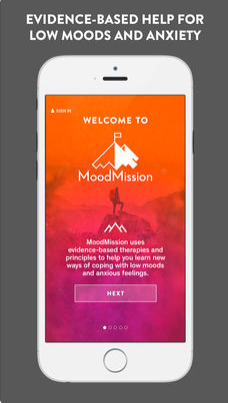 MoodMission is an evidence-based app designed to empower you to overcome low moods and anxiety by discovering new and better ways of coping. WhatsUp? 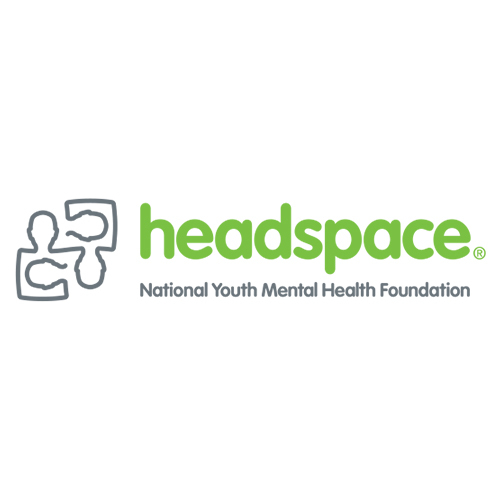 provides daily tools that promote positive mental health and wellbeing for everyone in your organisation. 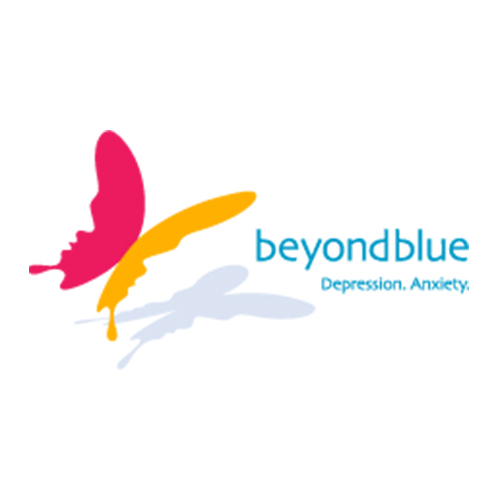 Secure, confidential and non-judgmental it allows your wellbeing department to instantly support those that need help most. 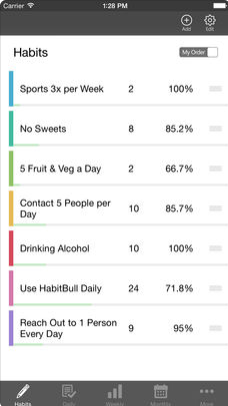 Help with breaking bad habits like smoking, drinking or nail biting, or building positive habits like fitness, meditation or reading. 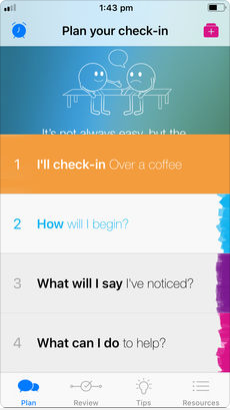 Designed by beyondblue and Two Bulls in consultation with young people, the Check-in app helps take the fear out of having a conversation with a friend who might be struggling. Ever wondered what the secret is to a great relationship? What are others doing right that you are not? How can you improve your own partnership or find a partner who is truly compatible with you? Relationships are complicated and it’s not always easy to navigate their waters, sometimes we need a little help. Feeling down after a breakup? Or just finding it hard to find motivation for anything? Have you lost some of your spark? 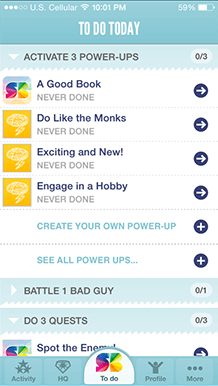 Breakup Shakeup can help you come up with cool ideas what to do about it. Getting active and socialising are amongst the best things you can do to start feeling happier and stronger again. 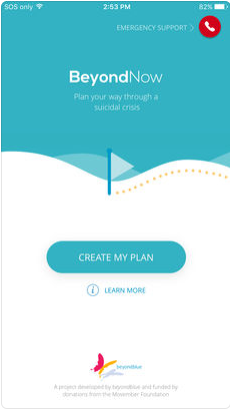 Convenient and confidential, the BeyondNow app puts your safety plan in your pocket so you can access and edit it at any time. 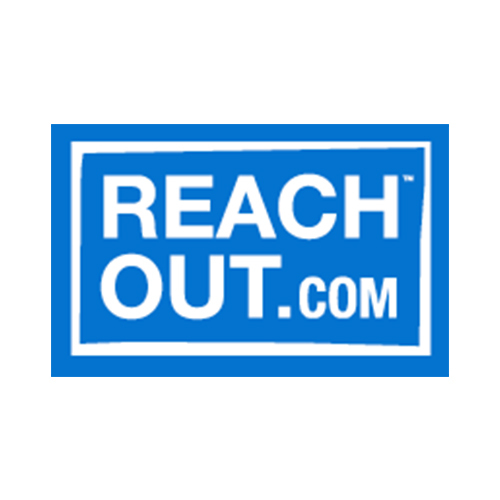 You can also email a copy to trusted friends, family or your health professional so they can support you when you’re experiencing suicidal thoughts or heading towards a suicidal crisis. SuperBetter increases resilience – the ability to stay strong, motivated and optimistic even in the face of difficult obstacles. Playing SuperBetter makes you more capable of getting through any tough situation—and more likely to achieve the goals that matter most to you.